The name heat pump can be a little misleading. After all, it does more than just heat your home, it cools it too. It’s like a one-stop-shop for all of your heating and cooling needs, just like David White Services Inc. 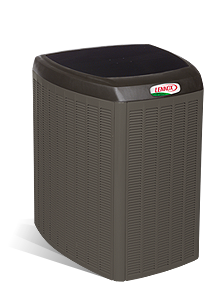 These all-in-one systems take care of all of your comfort wishes, and will likely save you money year after year. In southeastern Ohio, Athens, Lancaster, Logan, and Gallipolis, heat pumps are the perfect solution for our temperate weather. As more and more people realize the convenience of having both heating and cooling taken care of in one system, heat pumps are becoming more prevalent due to their all-encompassing efficiency. They work as your air conditioner in the summer, and when winter comes around it delivers your home’s heat too. There’s really nothing more useful than having a system that can do both while also possibly allowing you to save on your monthly energy bills. 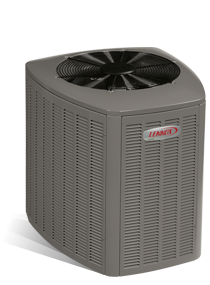 On this page you’ll find the selection of Lennox heat pumps that we offer, so take a few moments to see which one fits your needs best. Lennox makes the world’s most efficient air source heat pump and it’s also the quietest! 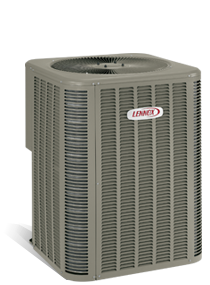 If a new heat pump is what you’re in the market for, we would be more than willing to talk with you to find the best heat pump replacement option for you. If you would like to speak with someone from David White Services, give us a call at 740-594-8381 in Athens or 740-654-4328 in Lancaster or use our online scheduler to set up an appointment with us.